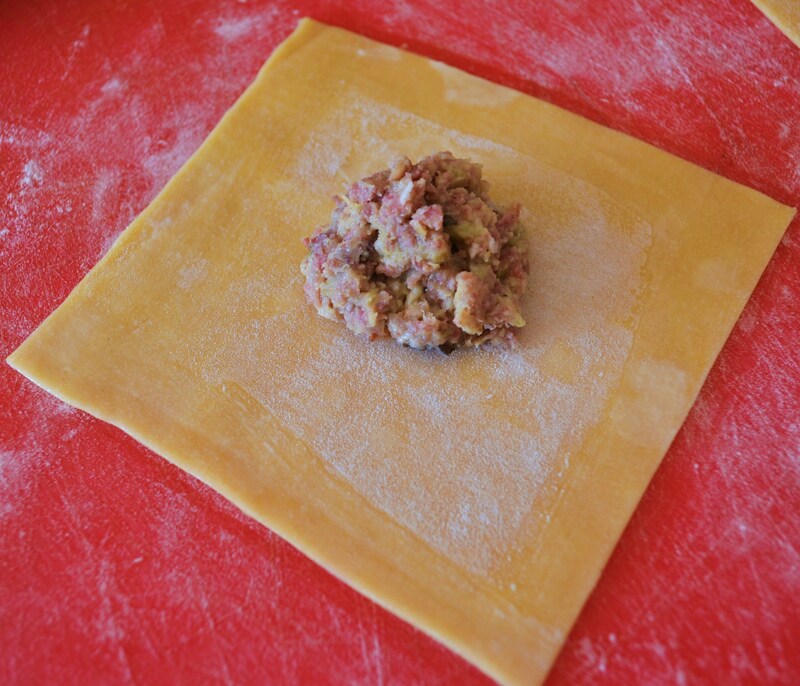 Stuffed Tortelloni – this is pasta work for the advanced! 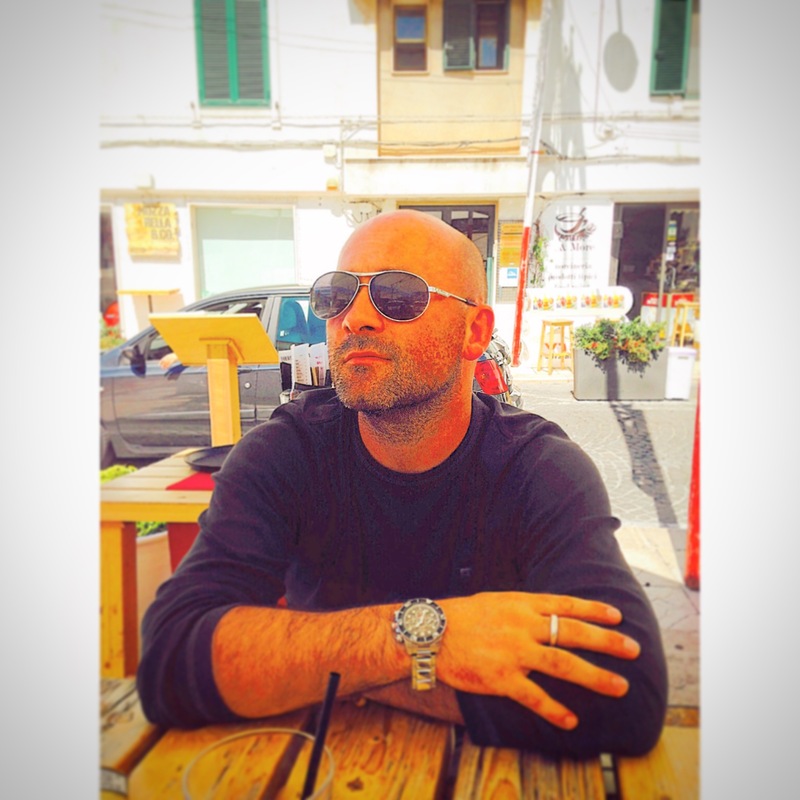 So I’m just back from 10 days in Puglia – Southern Italy – my Sister’s home and my second home! I’ve been back and forward to Italy for the last 30+ years and during that time I’ve had the honor to cook, be cooked for and most recently be invited to work in a kitchen with two incredible cooks Dora and Luciana at an amazing Masseria just outside of Ostuni. 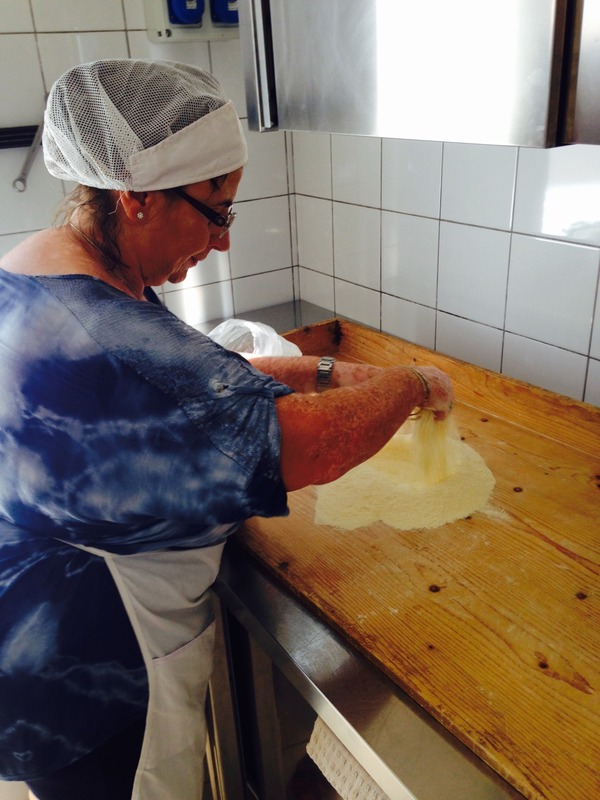 I spent the day with Dora and Luciana making pasta (Orecchiette) and stuffed veal …..along with Polpetta, Fried Aubergine and Courgette, deep-fried mussels and Octopus – the list was fairly endless!! And to be honest the only real way you can possibly learn how to make pasta properly is from someone who knows. It’s all about the feel – you need to develop a touch and an instinct for it – recipes on blogs and books are a great start but they should really prompt you to go learn. Take it from me, I’ve been making pasta for about 20 years at this stage and I still learn each time I’m in an Italian kitchen – and these two cheeky pups took absolutely no prisoners with me!! These two have probably forgotten more than I will ever know! 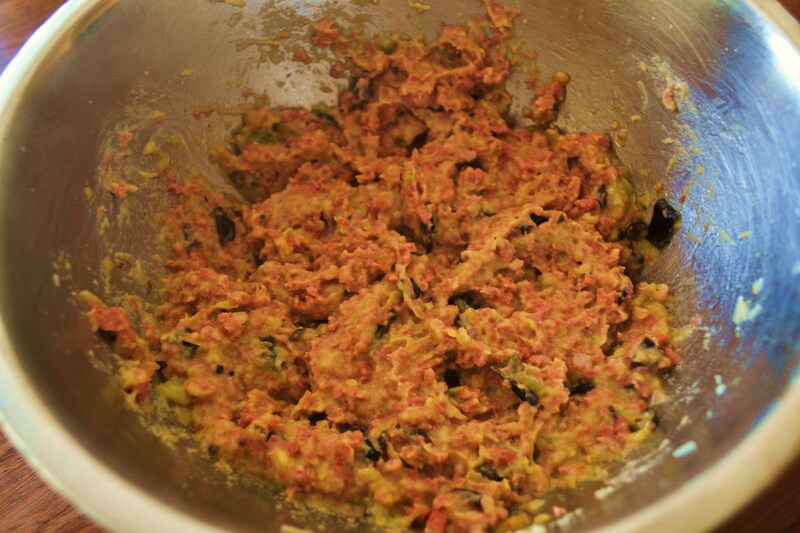 Step 2: fry the sausage meat in a little olive oil (no need for seasoning, this is rich). 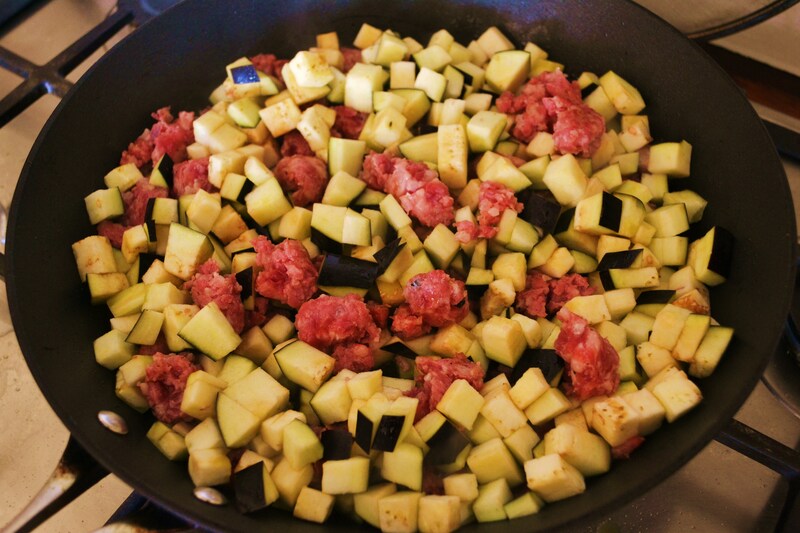 after 2-3 minutes add the diced aubergine and cook out until soft. 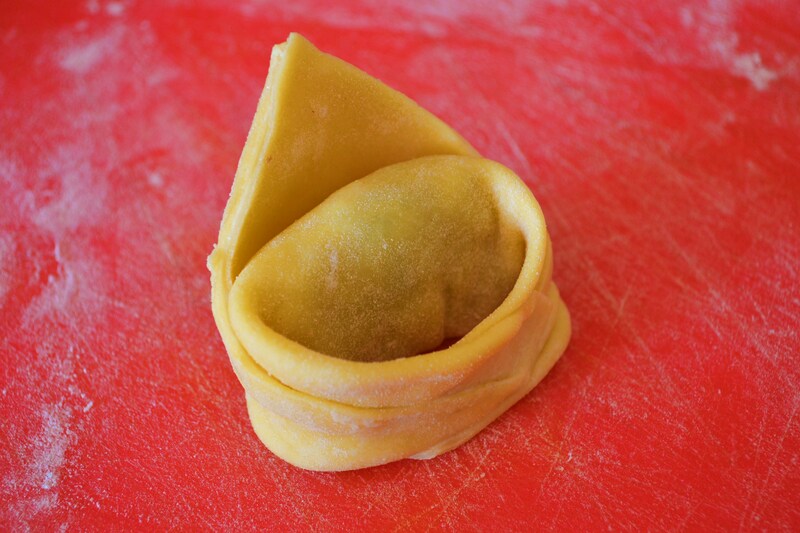 Step 5: now build your Tortelloni – add a spoon full of the mix….. 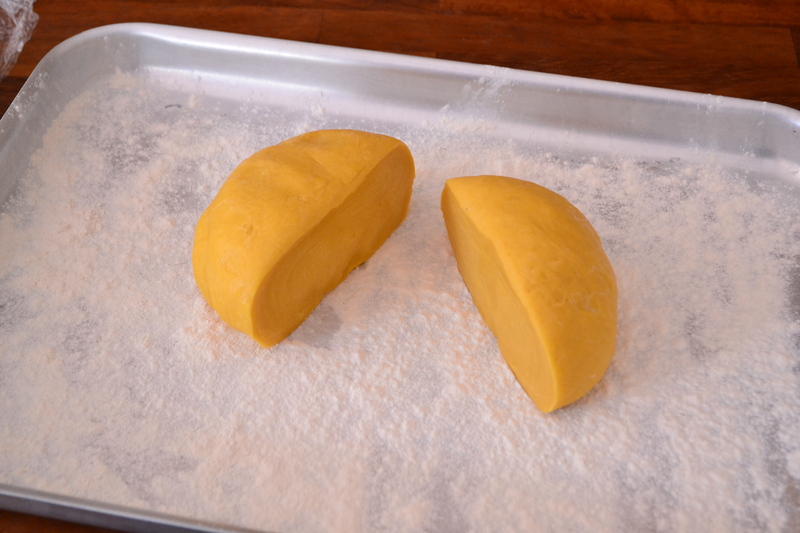 Step 6: Corner to corner and press out all of the air…. 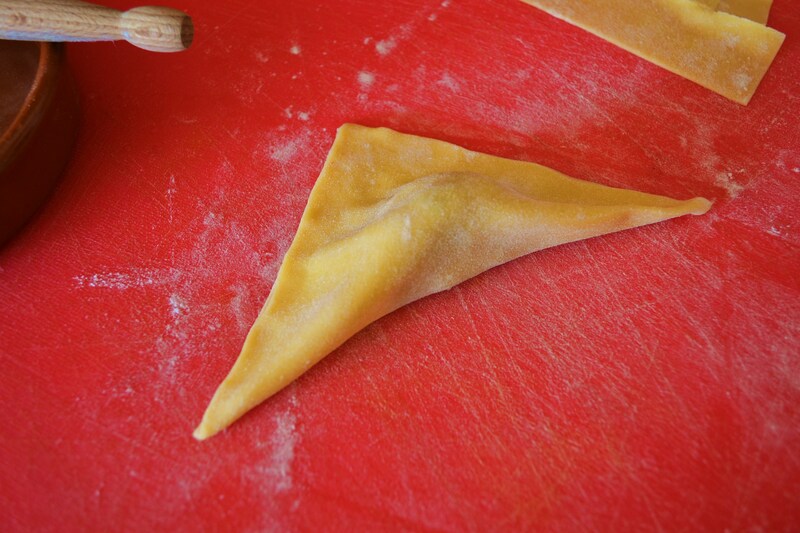 Step 8: Repeat :0) – I fold the tips down for easy storage if freezing – which they do really well! 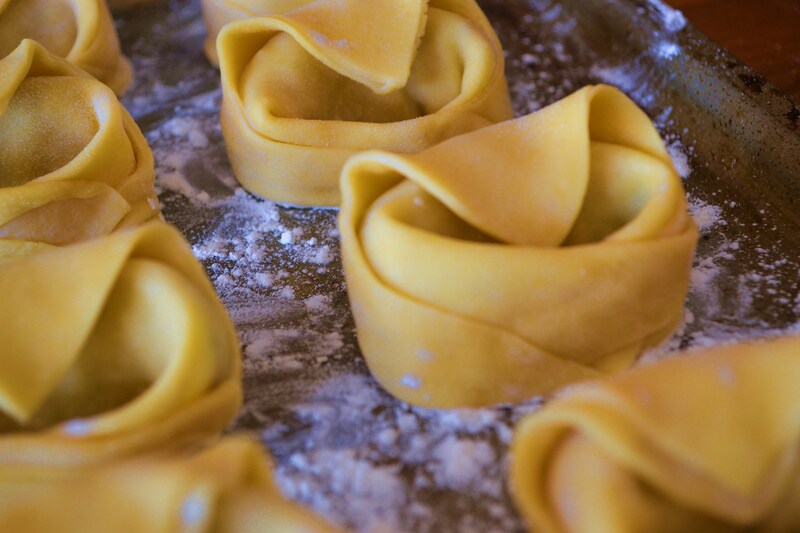 Step 9: If you are cooking now then get a deep pan of salted water on the boil and drop in the Tortellonis – when they float they are done – about 2 minutes. Step 10: as the pasta cooks simply melt the butter, add the parsley and oregano and combine. To serve simply add the cooked Tortellonis to a dish and nap over the herbed butter finishing with a flourish of Pecorino cheese. Done deal – although I reckon my adopted Nonnas Dora and Lucianna might have a comment or 7!! 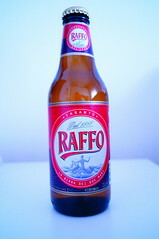 A punchy Pugliese beer, very crisp with a tiny little twang – little known outside of Italy but of you can get it grab a bunch of it! 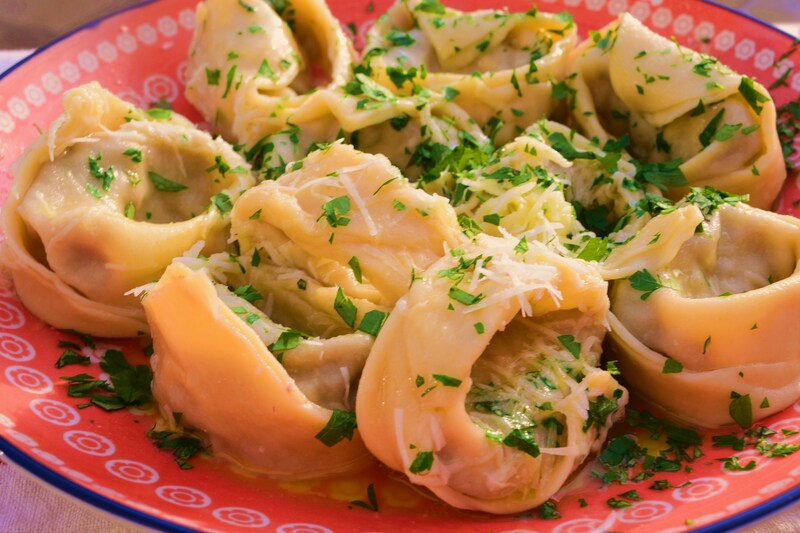 Your tortellini sure looks professional enough for me! 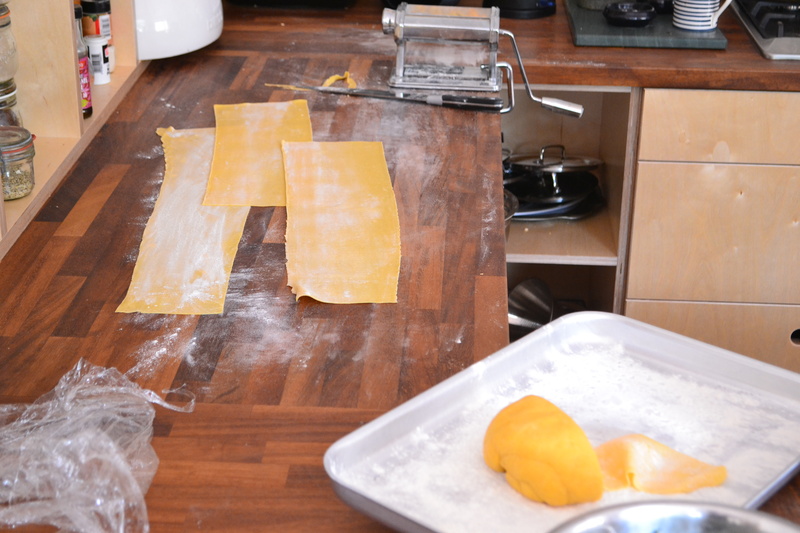 I’ve never made my own pasta, but then again, I don’t own a pasta roller. Previous Post This is Rocket………and beef and crispy onion science…..